Who can forget the summer of 2014’s ice bucket challenge to support amyotrophic lateral sclerosis (ALS)? It wasn’t planned by ALS but it became such an overwhelming success thanks to social media. Over $100 million was raised. This groundswell of interest and donations had not happened before or since because of the nature of social media. It is meant to be of the people, not directed by the marketing or public relations team. In a recent study highlighted in the Nonprofit Quarterly, the researchers found that 97 percent of the 500 organizations studied were using Facebook. Nonprofit organizations absolutely need to have a strategy for all communications, including social media, but realize that the biggest successes might just happen despite these efforts. The Old West was all about risk taking and lack of formal rules to govern day to day life because of the harsh conditions; but the technology is constantly changing and we can only imagine what social media will look in the future. The trick for any nonprofit organization is to figure out if, and then how, they should jump into social media. It isn’t for the faint of heart. Know if your stakeholders are online, and if they are, figure out where they are and then go there. Don’t fall for the trap “if you build it they will come.” Just because you have a Pinterest account, doesn’t mean it is an effective form of engagement if you have very few followers and yet spend countless hours managing your account. If social media makes sense for your organization (and it likely does), then decide what channels you should be on. 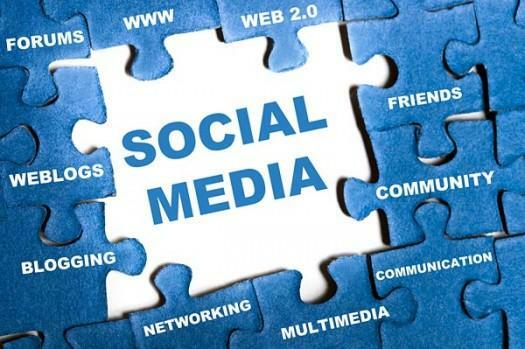 Do a really good job managing a few social media accounts rather than trying to manage too many and really never achieving success with any of them. Social media today is mobile. This means, users are accessing your social media pages via apps on their phone and tablets and not from their computers. This is also a positive thing when you consider that more Americans have cell phones than Internet access at home, according to the latest research from Pew. There are many reasons why social media should be part of a broader business strategy for nonprofit organizations. The platforms are free in one sense, at least in terms of having an account. For this reason, it is a cost effective strategy to promote your organization and programs to a broader audience. The work is to build that social media audience or you just end up talking to yourself. Some nonprofit organizations have been successful in raising money on social media but typically that takes a great deal of time and effort to convert casual viewers to dedicated supporters. Your face-to-face strategies have to align with your online strategy including content and goals. Social media is still the best way to draw awareness to your organization and its mission in a cost effective way. There are three major challenges for nonprofits using social media. The first is organizational culture. People may say bad things about organization so you have to configure your social media account to allow complete and open access or to have moderated access. Also, create policies to address acceptable behavior online. Opening up the organization on social media also means letting go of control and building communities of people who have mutual interests. Also, staff has to figure out the boundaries of personal and professional lives online, which can get blurred. The second is the amount of time it takes to properly manage and measure your social media strategy. Recently, a Social Media Benchmark Study found that most nonprofits dedicate just 0.25 of a full-time person to manage their social media efforts. Lack of staff time is the biggest challenge for nonprofits according to this research. Number of friends over time. Number of new names added to email file. Number of subscribers (RSS, blog). Number of blog or wall comments. Number of blogs linking to us. Technology is constantly changing, and with it, new opportunities to engage with stakeholders, which makes social media necessary and time consuming. Just because it’s free doesn’t mean it’s without a cost, typically the time and effort it takes to keep current on the latest technology and social media platforms. These are real costs that all staff and boards need to be aware of. The adoption of social media to impact philanthropy and fundraising is one more of the many ways this new medium is evolving organizational practice in the nonprofit sector. Join NTEN (Nonprofit Technology Network) to keep up to date with the latest technology and how they affect your organization. Get the 2014 study from NTEN about nonprofit industry standards for online fundraising, advocacy and list building. Attend a nonprofit technology conference such as the Social Media for Nonprofits Conference held annually in the fall. Keep your posts in real time, include pictures and videos when possible. Dated material is best for the website. Social media should eventually directly engage more donors, sponsors or volunteers. If not, there’s no point to actively investing time.